In the spirit of our most recent post on raising the insurance coverage in Maryland for certain MAIF claims, let’s talk about another proposed bill before the Maryland legislature, one seeking to impose punitive damages on some drunk drivers. First, you should know that punitive damages in Maryland are nearly impossible to get in car accident lawsuits. By nearly impossible, I mean impossible. By impossible, I mean it pretty much has to be intentional murder. Lawyers have tried, but even the driver who has been arrested three times for drunk driving, has been in two accidents while driving drunk, and finally kills an entire family, does not get punitive damages. Punitive damages are damages unrelated to the actual injuries in a case. In most cases, judges and juries pronounce a verdict of compensatory damages, which is meant to replace losses suffered in a Maryland car accident–medical expenses, lost wages, mental anguish, inconvenience, and the like. Punitive damages are linked directly to the person who caused the harm–the worse the behavior of that person, the more punitive damages a judge or jury could impose. Punitives are meant to punish the wrongdoer. In the past 5 years, had some sort of negative court ruling for various alcohol/drug and traffic offenses. 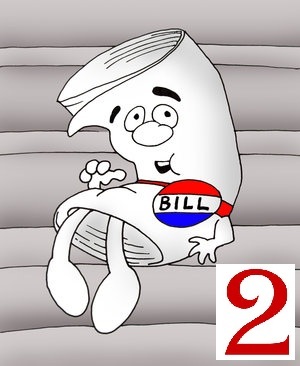 Here’s where the bill gets a little fanciful. It also allows insurance companies to write provisions in their contracts that specifically exclude coverage for these punitive damages. So, assuming these bills become laws, here’s what will happen: a driver who had his license revoked for one too many drunk driving arrests goes on yet another bender, this time killing a pedestrian who was lawfully in a cross-walk. The family of that pedestrian sues, and recovers whatever they can from the driver’s insurance company. That’s what insurance is for, and insurance companies accept that risk. However, the family also seeks and receives punitive damages. The insurance company will not pay it, meaning the only source of recompense is from the driver directly. Unless he is independently wealthy, the family will end up trying to garnish his wages (assuming he has any–hopefully he’ll be in jail), at which point the driver will declare bankruptcy, and it is case closed with no punitive damages money changing hands. Really, this is a feel-good bill. It’s not going to make trial lawyers any money. It’s not going to make car accident victims or their families any money. But, maybe it will scare one or two people who do have something to lose (you know, all those celebrities who, for some reason, drive drunk when they could charter a helicopter ride home directly from the night club). If it manages to save one life, it’s worth it. Call your legislators (find them here) and tell them that you support holding drunk drivers responsible for their behavior.